Just a few minutes' drive from the beauty and bustle of the World Heritage Site of Dubrovnik, lies the new Sheraton Dubrovnik Riviera Hotel, an oasis of calm and a gem of contemporary architecture. 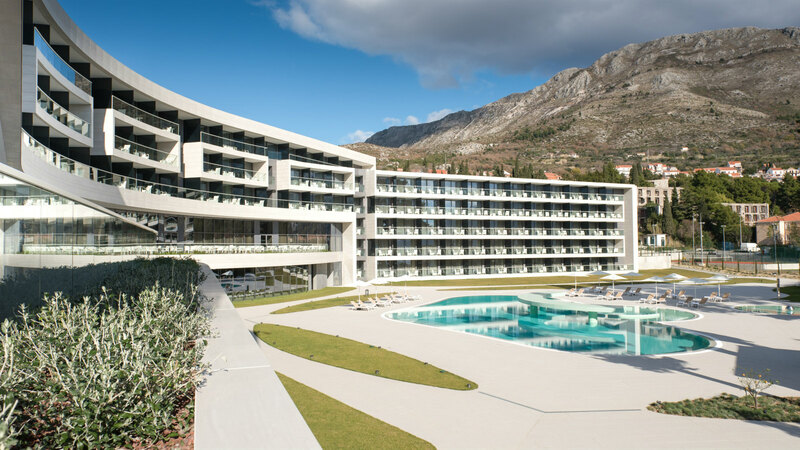 The EFPW-2017 will be held at Sheraton Dubrovnik Riviera Business Hotel, located in a charming village Srebreno, 12 km away from the Old Town Dubrovnik, i.e. on halfway between Dubrovnik Airport and the Old Town. Sheraton Dubrovnik Riviera Business Hotel offers 1,500 m² of meeting and event space, a large auditorium (900 m2), 4 multifunctional meeting rooms (53 m2), state of the art audio and video equipment and complimentary fast Wi-Fi, as well as various restaurants and bars, 24-hour room and concierge service, spacious indoor pool and fitness facility, currency exchange service, and laundry and ironing services. Shuttle-bus, taxi and buses provide easy transportation from the airport to this hotel, as well as to the Old Town Dubrovnik. Each hotel room comes with high-tech audiovisual equipment, free high-speed, wireless Internet and an abundance of natural daylight. For all EFPW-2017 participants accommodation is secured at the Sheraton Dubrovnik Riviera Business Hotel at a special rate. You will be able to reserve hotel rooms during your registration process.